Make It Memorable provides a distinctly different, hands-on introduction to the craft of visual storytelling. 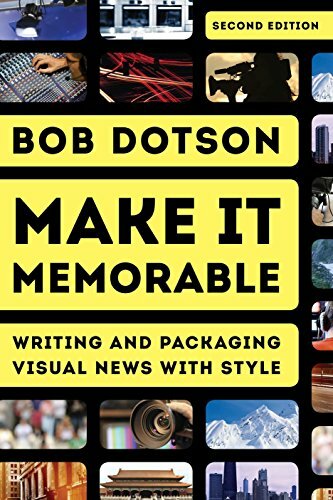 Many texts have been written to help people master the changing technology of journalism; here, Bob Dotson teaches readers how best to tell a story once they do. This second edition of Dotson’s classic book offers dozens of new tips for the digital age and a step-by-step explanation of how to find and create all kinds of visual stories under tight deadlines. In addition to new scripts annotated with behind-the-scenes insights and structural comments, the book includes links to online videos of all the story examples. There is no other text quite like it. Additional videos that can be utilized for class assignments and exercises are available on www.nbclearn.com/makeitmemorable.